Dinghy Sailing - What Qualifications Do You Need? Posted on June 13, 2016 by Richard Shrubb under Dinghy Sailing, Sailing Courses Comments Off on Dinghy Sailing – What Qualifications Do You Need? I was in an Indian restaurant in Lyme Regis this weekend when I got talking with the couple sat at the next table. They were late middle aged, and had taken early retirement from their jobs in London and moved to Dorset for its pace of life and character – something you see a lot round these parts. The woman was excited and scared about her upcoming sailing lessons. Amongst many other worries she had, she told me that the club said she would be able to go racing after she had completed her RYA Dinghy Level 2, and this honestly horrified her! The fact is that yes, there are the very fit and agile who race high powered sailing dinghies until their late 40’s and often later. 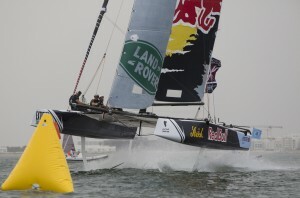 They may have an International 14 or foiling A Class catamaran, both of which will go bloody fast and require silly amounts of exertion to blast around a racing course (it is widely reckoned that an America’s Cup crew member will burn 5000 calories in a race). They may be young, which means that they will have the energy and strength to fly a Moth Mk 2 or crew on an ocean yacht race such as the Bermuda Race, Sydney Hobart or Fastnet. By far the bulk of dinghy sailors will get a quick but easy going boat such as a Laser or Supernova, or in the woman I met’s case, a seagoing plodder such as a traditional Lyme Bay Lerret or a Wayfarer. Let’s look at three types of dinghy sailing and the qualifications you need to do it. No matter the direction of your sailing career, you will always need to learn the basics of how to sail. In the UK we have the RYA Level 1 and 2 dinghy sailing courses. In Canada this would be the CANSail 1 and 2 courses, while in Europe there are other courses. The basic entry courses will teach you how to set your sails, the direction you can sail and how to turn through the wind in a gybe or tack. 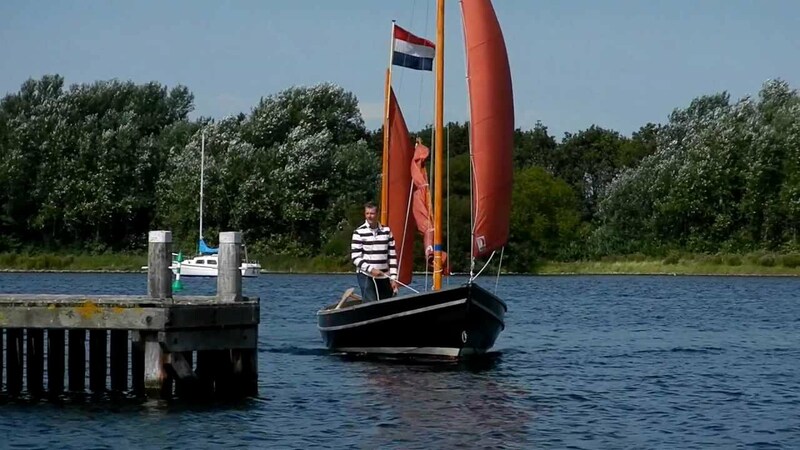 You will learn how to launch and recover the boat, as well as elementary Rules of the Road and safety techniques such as letting go of your sails or how to recover from a capsize. For most people this is actually all they need. They can potter about the harbour, bay or lake and as their confidence grows they can do more. Racing at club level is often fierce but no one minds if you come last by half a mile – at least you’ve competed! You may grow bored of seeing the same stretch of coast every week and may want to potter up the coast, without being in a balls out race with a bunch of people on trapezes or foils. The RYA teaches two courses for the intermediate sailors called Seamanship and Day Sailing. The Seamanship course will teach you better safety skills so you are more self sufficient should you get in a bit of bother and there’s no safety boat to hand. The Day Sailing course will teach you how to navigate, anchor, and how to predict the tides amongst other things. Between these two courses you will be able to leave your immediate bay or harbour and go and explore your environment. On the other hand you may really into the racing scene and want to learn more about trimming your spinnaker and how to use the trapeze without capsizing into the wind! The RYA and CANSail programmes teach sailing for the more performance oriented sailors who want to start winning club races and pushing the limits of a faster craft. Beyond these you can do the expert level racing and go on to compete at a Class or national level. You will be pushing your boat to the limit and will spend a fair bit of time in the water as you find those limits! These courses are for the stereotypical dinghy sailors. Many dinghy sailors get really into the competitive scene and it is a lot of fun. Others though are frankly a little put off and worried at the thought of racing all the time. Though never the fastest sailor myself when I had my Supernova the old men on shore saw me on several occasions survive gusts that sent many of the other boats into the drink. Why? I’m self sufficient, can read the boat and the water, and although I won’t get where I’m going quickly I will get there without a fuss. I started out racing and in my sailing career have done thousands of miles of cruising. Yes, taking things to the edge is fun, but you don’t have to get wet to have a good time in a blow!